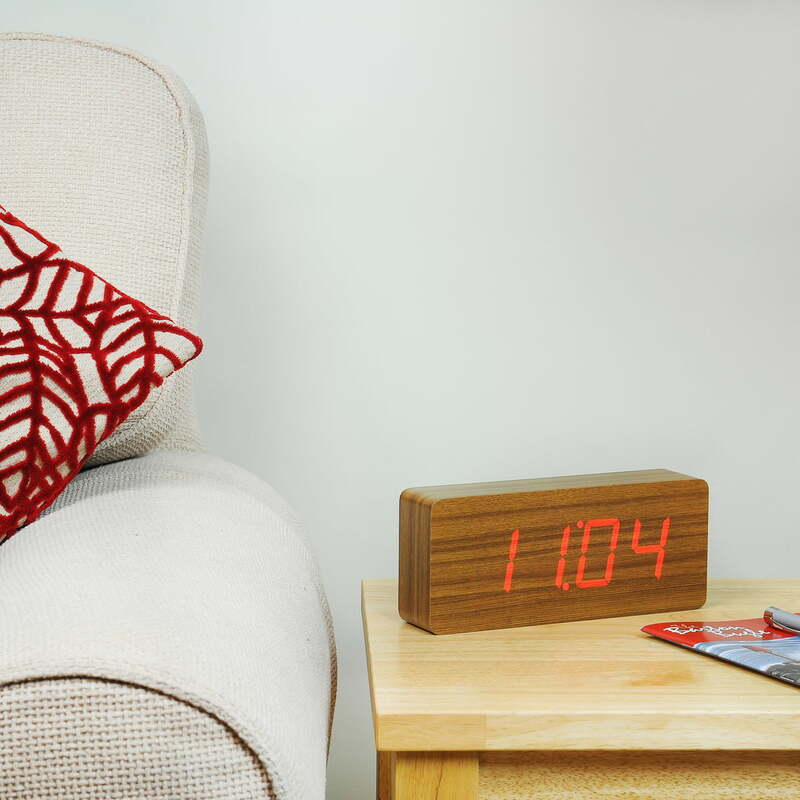 We're all slaves to time, so we’d like to present time as nicely as possible. 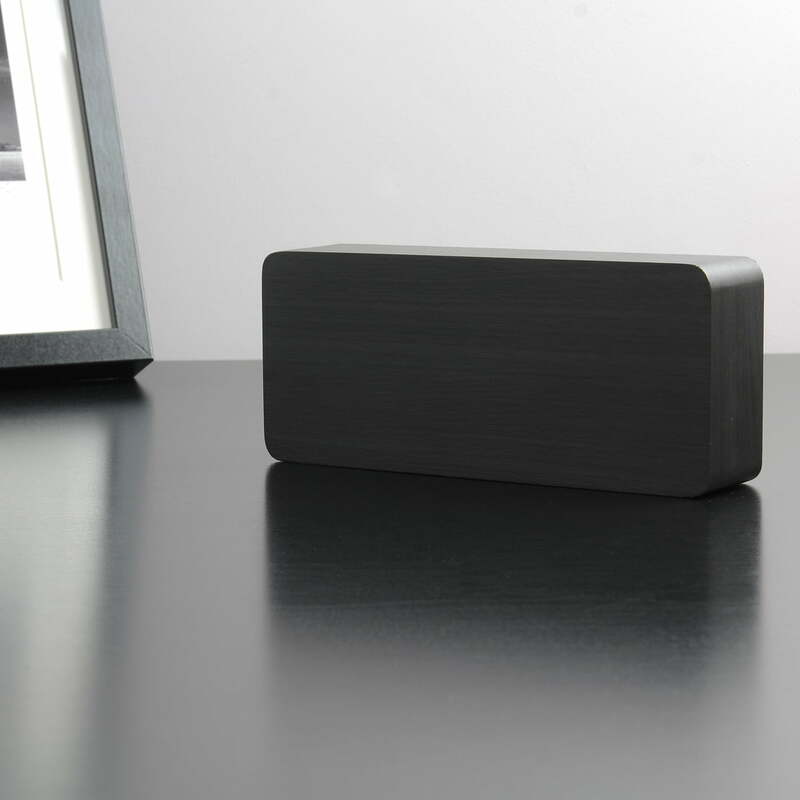 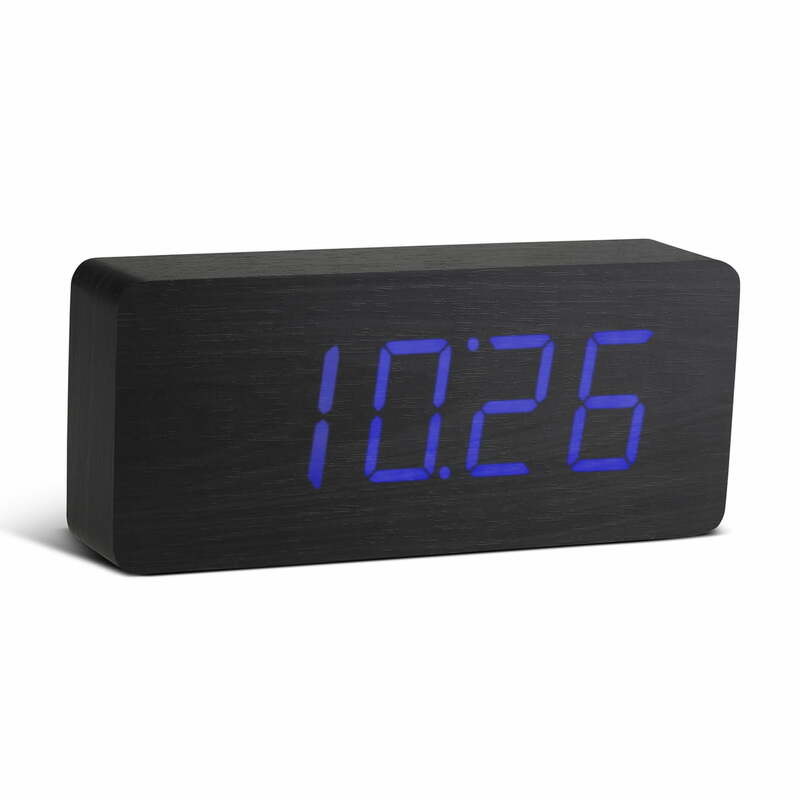 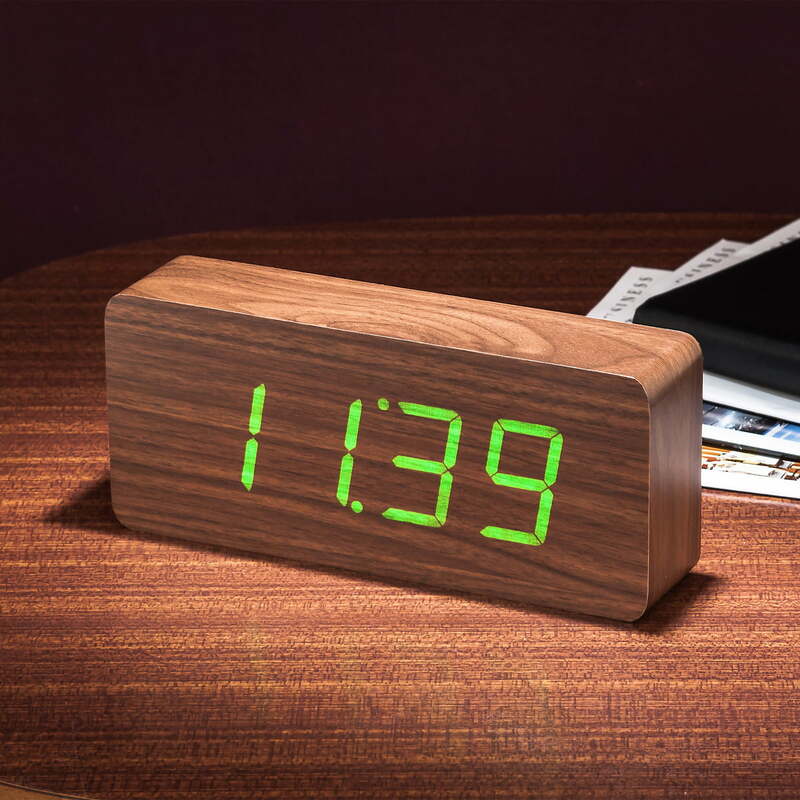 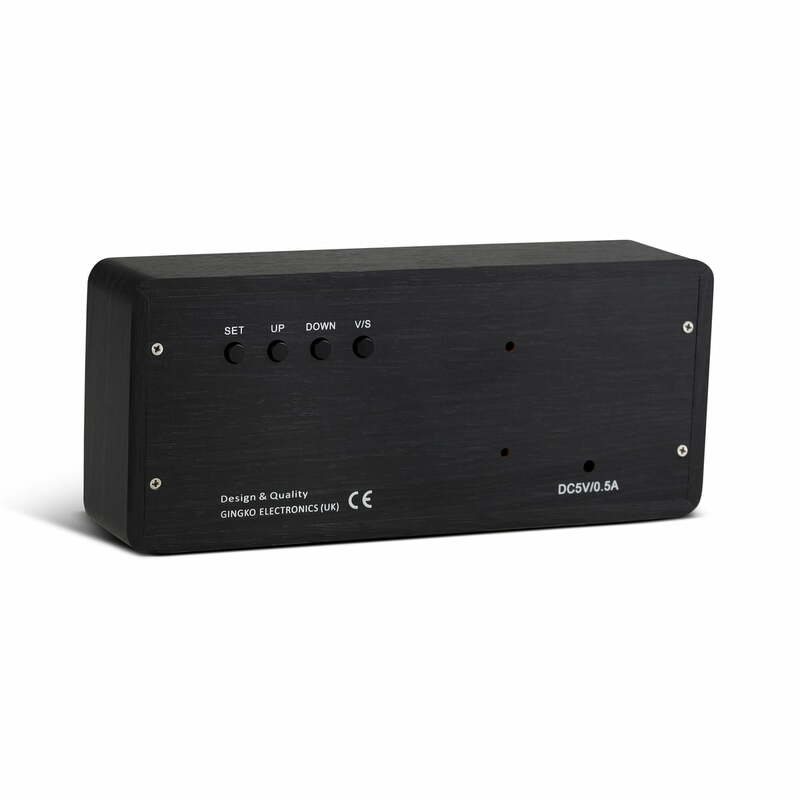 The cube alarm clock displays not just time, but also the date and the temperature. 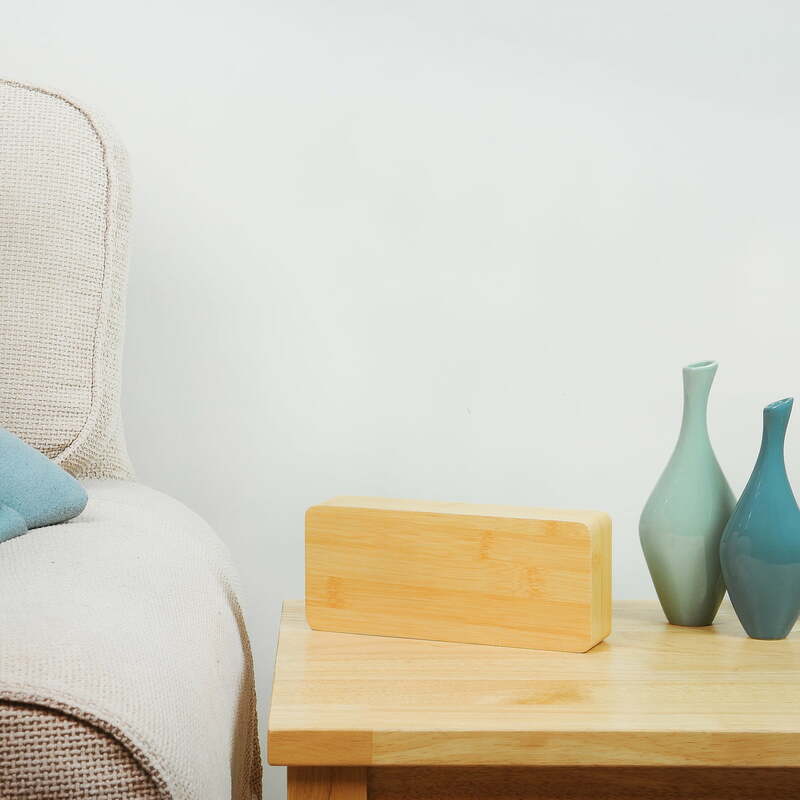 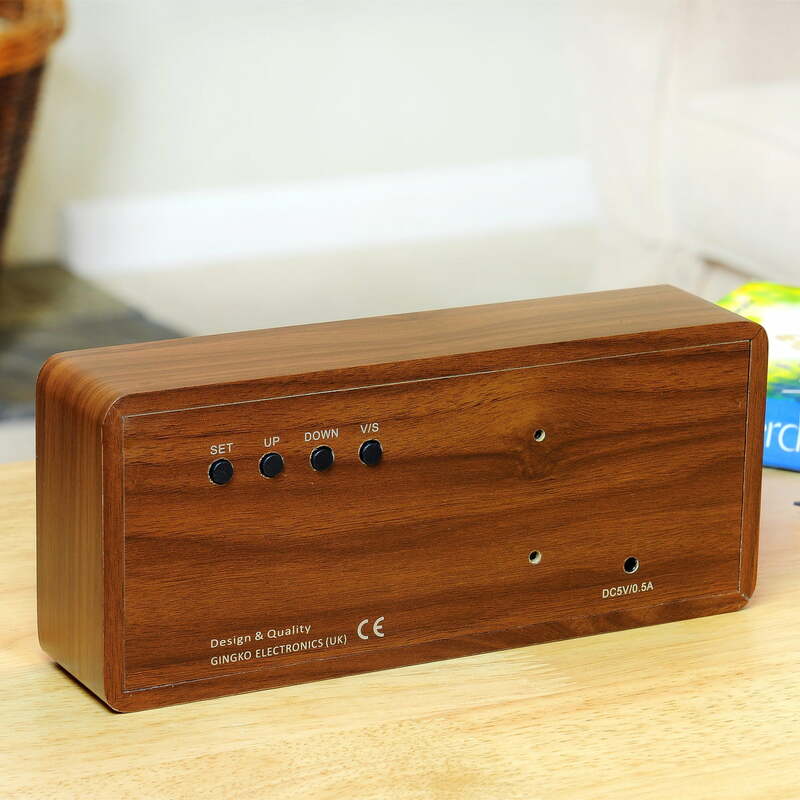 If the room is silent, the unusual alarm will turn off automatically, and it will turn back on if woken up with a snap of your fingers, a clap or a touch. 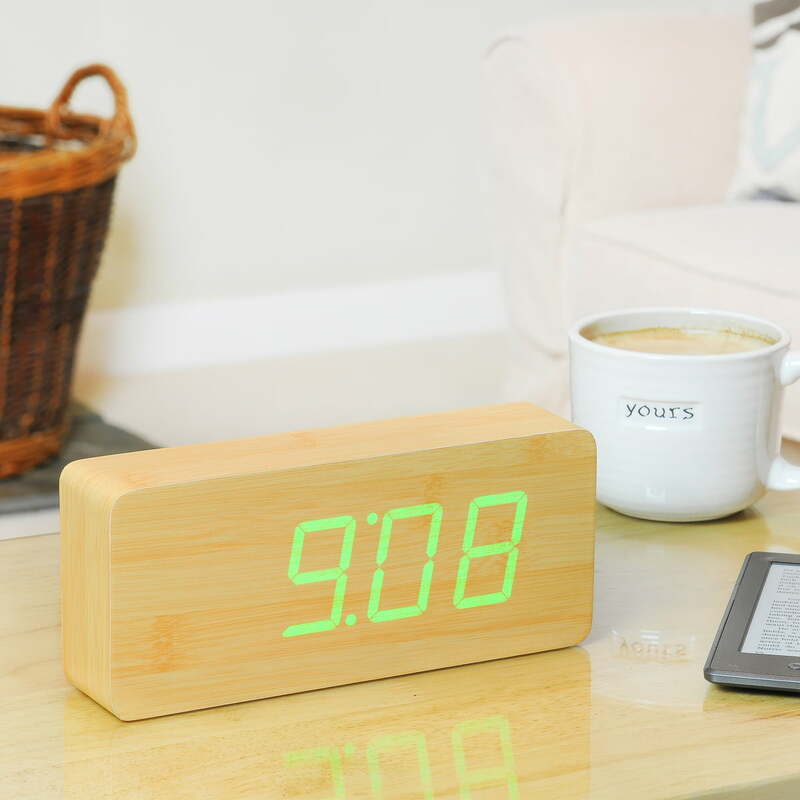 The display appears to float on the wooden surface - an exciting contrast of classical materials and state-of-the-art technology. 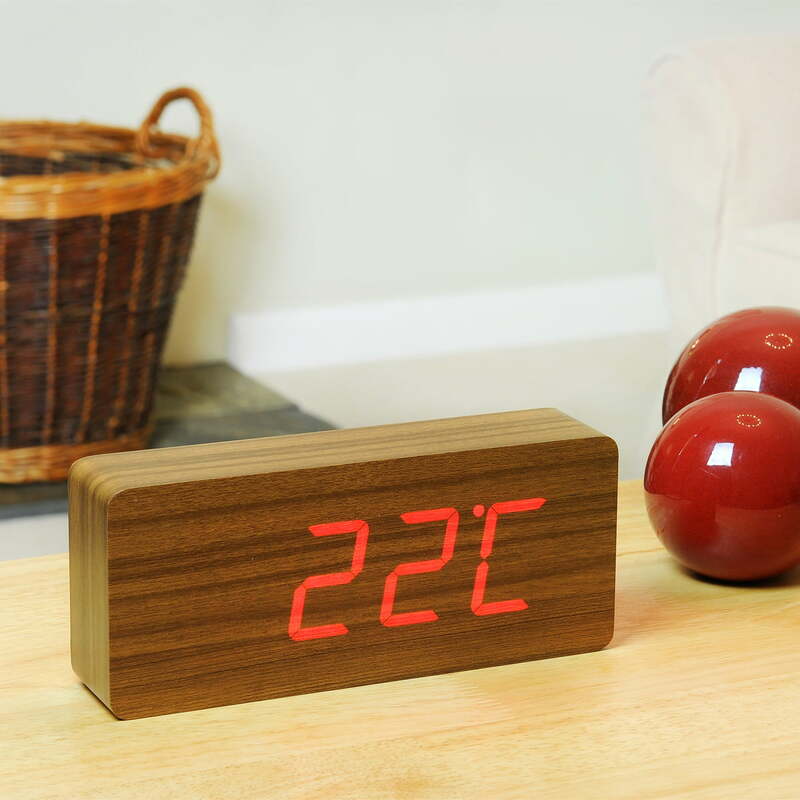 The other functions of the minimalist alarm clock from the Click Clock collection by Gingko also leave nothing to be desired: Three alarm modes (optional for days of the week/weekend) as well as adjustable 12/24-hour time and temperature in °C or °F make the wooden alarm clock adapt to every taste. 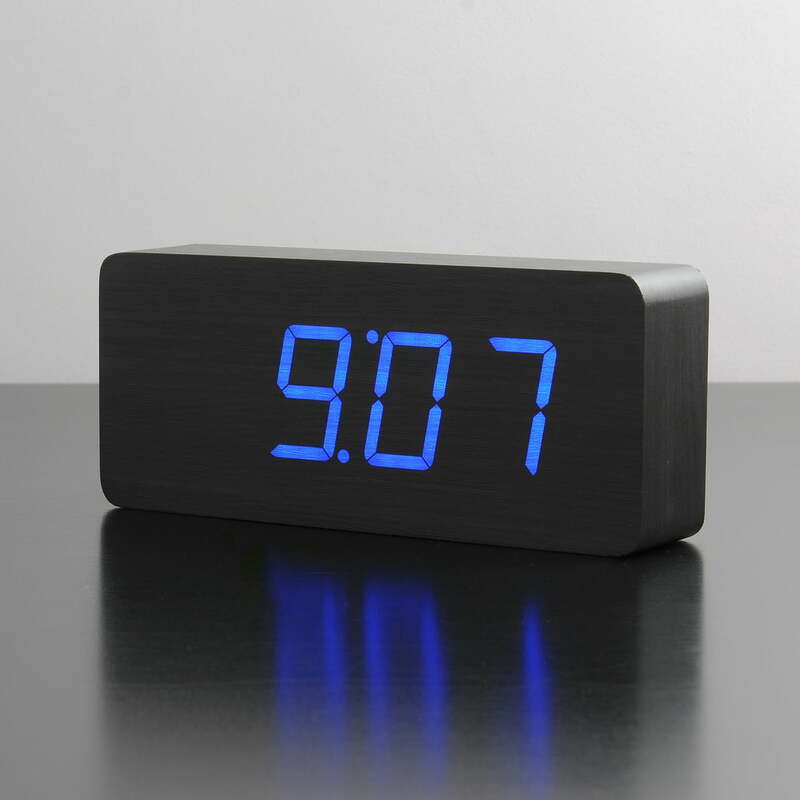 And with the built-in lithium ion battery, the wireless alarm clock is a welcome companion on trips. The Click Clock collection also offers other watches and time-counters by the British manufacturer.